La Ceiba Net Society Review 2019: Is La Ceiba Net Society a Good Hosting? La Ceiba Net Society has been in the web hosting business since 2009. The hosting company uses fully redundant facilities to offer shared hosting solutions, virtual private servers, and dedicated servers to over 1,000 customers in Honduras and beyond. La Ceiba Net Society has hosted more than 1,000 customers in addition to designing over 3,000 websites since 2009. The hosting provider based in Honduras takes pride in offering quality hosting solutions for growing online businesses. Its services include shared web hosting, SEO, e-commerce solutions, web design, marketing, and online advertising, as well as domain name registration. The La Ceiba Net Society website is available in two languages: English and Spanish. La Ceiba Net Society data centers are fully redundant facilities that all but guarantee quality hosting solutions. They are deployed with the necessary safety measures to keep them running round the clock. The vendor makes notable efforts to improve these security measures to meet the rapidly evolving threats that include hackers, viruses, ransomware, etc. La Ceiba Net Society uses powerful Cisco networking and multipath network topology with several fiber-Optic connections and carriers. It provides a fully customizable computers and servers platform in its data centers ideal for web hosting, game servers, file downloads, VoIP, or other latency sensitive applications. La Ceiba Net Society divides its hosting plans based on the operating system and control panel that a user would want to use. 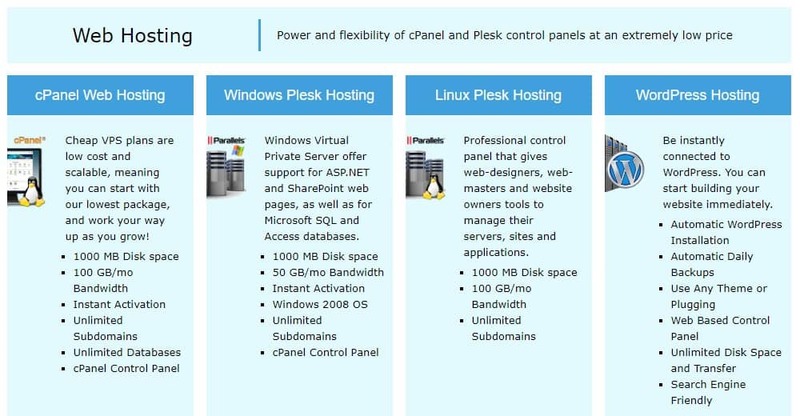 The packages include cPanel web hosting, Windows Plesk hosting, Linux Plesk hosting, and WordPress hosting. This Honduras-based vendor offers managed backup services, keeping your data safe even in the event of malicious attacks or human errors leading to data loss in the primary server. What’s more, since as your data volume increases, so does the risk of loss, La Ceiba Net Society has created a sophisticated backup infrastructure offering standard backup solutions essential for reducing these risks. This hosting provider stores and maintains data backups in its servers for seven days, providing you with a whole week of archived data and ensuring reliable and quick recovery of these backups whenever needed. La Ceiba Net Society hosting prices are pretty low, yet its plans include advanced features essential for hosting all kinds of websites. It offers free setup and fast activation immediately after you make your payments. This hosting provider offers a seven-day money-back guarantee, shorter than most other vendors’ 30-day money-back guarantee. Nevertheless, it offers a 99.99% uptime guarantee. Although this hosting firm has a support telephone number, it is not listed on its website and only appears on its social networking pages. That said, users can also contact this vendor’s support team via the available ticketing system. The vendor does not have a live chat on its website, nor is there a support email address listed, despite the website advertising both live chat and ticketing support. Only a sales email is available on its website. While the vendor claims that its support team is available 24/7, my attempts to get in touch with it bore no fruits. To make matters worse, La Ceiba Net Society has not put up a knowledge base on its website to allow users to address issues on their own. La Ceiba Net Society offers reliable web hosting solutions suitable for small and large enterprises alike. In addition, the hosting firm has invested in VPS and dedicated servers making scaling easy and straightforward, especially for fast growing online businesses. That said, the vendor has not made a lot of effort to make its customer support solutions easily available to potential customers. 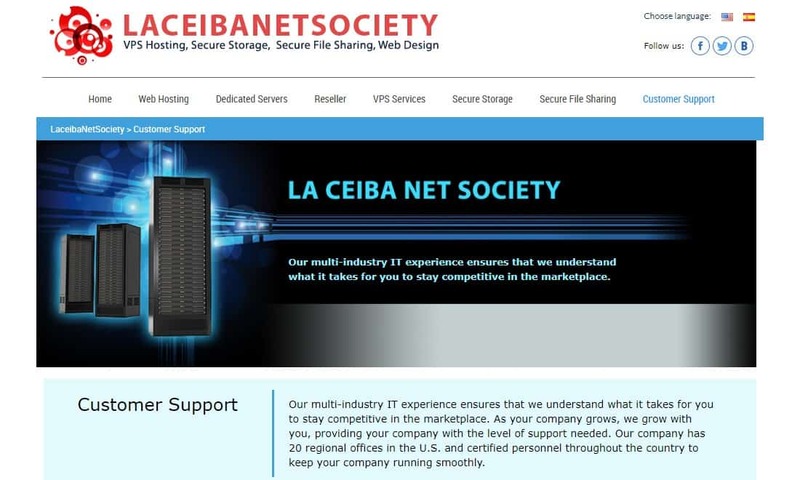 Wondering how La Ceiba Net Society stacks up against other Web Hosting companies? Enter any other Web Hosting company and we will give you a side-by-side comparison.